OXFORD, Miss. 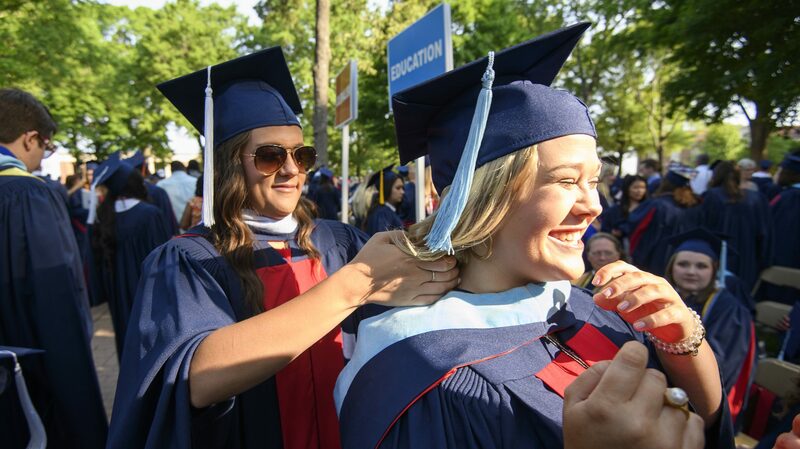 – U.S. News & World Report has ranked the University of Mississippi among the nation’s top institutions for online graduate degrees in education. At No. 34, the UM School of Education climbed more than 120 spots from U.S. News’ 2018 rankings and is tied with education schools at Ohio University, University of Kansas and the University of South Carolina. With more than 300 institutions included in the rankings, UM is in the top 10 percent. “Our faculty and staff have worked tirelessly in making our university a leader in online graduate education for our students,” said David Rock, UM education dean. “Accessibility for today’s students is important, especially for working professionals. The School of Education, which is accredited by the Council for the Accreditation of Educator Preparation, the nation’s top education accrediting body for U.S. colleges and universities, began offering online graduate degrees in 2010, when it launched its online master’s degree in elementary education. “We are committed to making available online graduate programs that enable students to advance their career ambitions,” said John Holleman, the school’s director of graduate studies. “Our online graduate programs deliver course content through a variety of means, including internet learning systems, audio/video conferencing and an assortment of streaming media content. U.S. News ranks online graduate education programs using five categories: student engagement; student excellence; expert opinion; faculty credentials and training; and student services and technologies. Faculty and staff at the UM School of Education have placed a new emphasis on outreach and recruitment in recent years. In 2018, the school’s new graduate degree in educational leadership was launched to meet a growing demand for quality online leadership preparation for K-12 teachers. Online certificate programs for special education teachers, such as the UM program in emotional disability disorders, also help meet the needs of working teachers in the state. As part of its ongoing commitment to providing quality and accessible education for working education professionals, Ole Miss also offers three hybrid Doctor of Education programs, which combine online and face-to-face during weekend classes. Doctorates can be completed in higher education, mathematics education or educational leadership. For more information about U.S. News & World Report rankings visit http://www.usnews.com/. For more information about graduate programs at the UM School of Education, visit http://rebelteacher.com/.